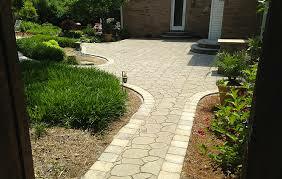 Just Landscaping provides around the clock 24/7 snow and ice control services for commercial properties. 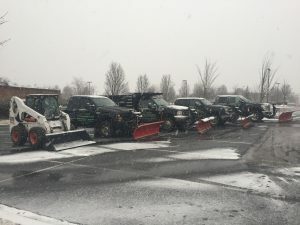 Regardless of how much snow builds up, Just Landscaping has the equipment to clear your parking lot, driveway, or sidewalk. 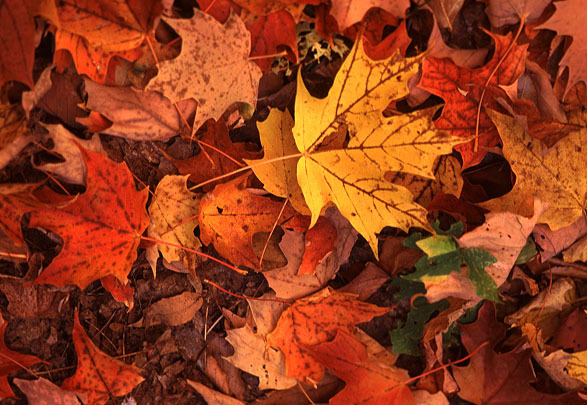 We are constantly monitoring changing weather conditions, so you don’t have to. When we agree to provide snow removal services, our clients can count on us being there when we say we will. Setting up snow service prior to winter is your best chance to receive prompt service. De-icing materials are not cheap, neither are lawsuits. We understand the importance of safety to your customers and employees. Just Landscaping’s clock-work style snow service will put your mind at ease for any icy conditions. Rock salt is the most popular and more cost-effective ice melt. However, rock salt can be corrosive and lose its effectiveness at 20 degrees Fahrenheit. Our clients can opt for Calcium Chloride which one of the quickest melting deicers and most effective to -25 degrees Fahrenheit. It is also safer for concrete surfaces. Please call our office to inquire about your snow &amp; ice management needs and check about our availability.